Demand for customised risk transfer solutions are increasing within the reinsurance marketplace, according to reinsurance giant Swiss Re. The trend could result in large reinsurers coming under pressure from influential ILS fund managers, as they look to utilise the specialities and features common in the ILS sector. 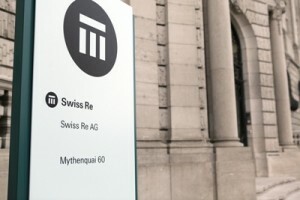 During the release of Swiss Re’s latest SIGMA report at the annual meeting of the reinsurance industry in Monte Carlo this year, reinsurance giant Swiss Re highlighted a growing demand for customised insurance and reinsurance solutions. Such structures are designed to offer more efficient risk protection and can enable insurers to “optimise their capital structure in order to improve capital returns and minimise capital costs,” explains Swiss Re. An increased need for customised, sometimes complex (but not always) solutions has in part been driven by consolidation in the marketplace, the globalisation of risks, technological advances, and regulatory developments across various regions. “This has led to higher limits and higher retentions, as well as the substitution of local contracts with larger and more complex solutions. However, this goes hand-in-hand with a greater need for tailored re/insurance structures that address unique situations and can sometimes be enhanced with innovative features to meet specific client needs,” said Kurt Karl, Swiss Re’s Chief Economist. The reinsurer provides examples and case studies of customised re/insurance solutions, which, interestingly utilises features common in the insurance-linked securities (ILS) industry, such as parametric triggers. As an example, Swiss Re discussed a state-owned power utility in Uruguay that required combined insurance protection against drought and high oil prices, an index-based solution that used a parametric trigger structure to determine a payout based on either rain fall levels, or high oil prices. If the rainfall dips below a certain trigger point, or oil prices are too high, the payout would trigger. It’s important to note, and of particular interest to us at Artemis, that case studies used by Swiss Re incorporate parametric triggers, cover weather risks as well as non-weather risks, ultimately utilising features that are common in the ILS space. As a result of this large reinsurers such as Swiss Re, Munich Re, SCOR, Hannover Re, and so on, that design customised solutions that are structured in a way that is similar to an ILS deal, like a catastrophe bond, could come under pressure from ILS funds and managers that specialise in these types of re/insurance solutions. As the demand for customised risk transfer solutions increases ILS players could capitalise on the opportunity before them, after all, tailored and complex solutions to weather risks throughout the globe are what the ILS space is very, very successful at doing. At the same time, as large re/insurers look to capitalise on the increased demand for customised solutions in the evolving risk landscape, insurers, reinsurers, and ILS funds/managers could find themselves increasingly utilising the same features of the risk transfer world to develop efficient solutions for their clients, ultimately driving further convergence of the ILS and traditional re/insurance sectors.